Thinking about moving to the Sunshine state? Who could blame you? It has warm weather, nice beaches and many interesting attractions ranging from the 16th-century European city to grandiose theme parks. However, as with every other move, there are certain things to consider. This goes double if you’re moving to Florida with no job. This is precisely what we’re here to talk about. Starting with the reasons for moving to the Sunshine state, over the interesting places in Florida you might want to check out, to how you can easily find a job in there, we intend to cover all the information you will need when moving to Florida with no job. So read on, and enjoy! The weather – The Sunshine state gets its name from the warm weather pertaining for about 9 months or so each year. Obviously, this means more time on the beach and less spent drudging through the snow or rain, as you might in other states. 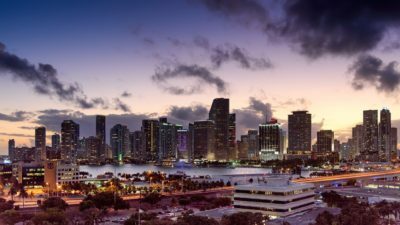 The thriving economy – Florida has a booming economy offering many great job opportunities, something you might find useful if moving to Florida with no job. The low taxes – Another great advantage of the Sunshine state is its low taxes. There is no State Income Tax as well as no State Property tax. On top of this, there are many other tax-lowering regulations, making it one of the lowest tax states in the US. 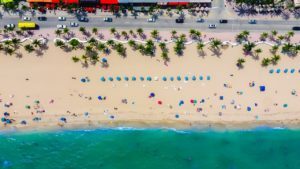 The cost of living –If you’re moving from New York to Florida, you might realize that the Sunshine state has comparably lower costs of living. This is another advantage of the Sunshine state for people moving to Florida with no job. Florida’s warm weather makes it perfect for beach-lovers! This lovely Florida town will offer you good employment opportunities, as well as affordable housing. After all, it has a 70% homeowner rate. Add to that its other benefits, that might have you thinking that maybe you should move to Davie this year. Due to its proximity, one might consider Davie to be a suburb of Miami. And that’s exactly what it feels like. With many restaurants, parks and coffee shops it offers a peaceful suburban feel. It is close to the beach as well as Fort Lauderdale with its marina. However, you might be wrong in thinking this peaceful town is boring. Being so close to Miami means a good night time out if right within your reach. If that is what you’re looking for. Davie is close to the beaches of Fort Lauderdale while still retaining a suburban feel. Davie is a great place for people moving to Florida with no job for another reason, and that is, it’s job openings. There are even some listed on its official website! 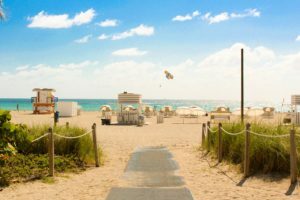 If these don’t appeal to you, however, being the part of Miami Metropolitan area will mean you can go looking for jobs that are more to your liking in the neighboring towns all the way to Miami itself! Another Broward county town, Oakland park offers a lot of similar experiences as Davie. However, if you decide to relocate to Oakland Park, FL, you will find a more sea-side vibe. This is due to the fact that it is a bit closer to the ocean than Davie, as well as having several waterfronts in contrast to the more park-rich Davie. The price of real estate is a bit lower than Davie as well, which might play a role if you’re moving to Florida with no job. The first place on this list is easily taken by tourism. 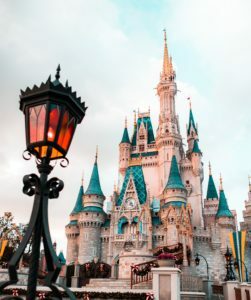 Spring breakers, people coming to see Disney World and Universal Studios Theme park, these all add to the booming Florida tourism. Add to these a throng of overseas and US-based visitors and it becomes clear why tourism is such a strong branch in Florida. Is there anything more exciting than flying and space? If your answer was no, then Florida might be an ideal place for you. With a huge aerospace industry and an aviation industry that services around 10% of the nation’s air passengers, there are always jobs to be found in this field, in Florida. Did we mention that Florida is also the home of the Kennedy space center? Or that the same place, Cape Canaveral is the center of Elon Musks’ SpaceX launches? With all that sunshine comes great agriculture. And that is precisely why agriculture is a major field in the economy of Florida. Producing 70% of all citrus in the USA and employing 2milion people all thanks to its 100 to 200 days of sunshine more, puts Florida in the second place, agriculture-wise in the whole of the USA. Due to its geography, Florida is perfect for international trade. it is no wonder then how it handles 40% of all of US exports to Southern America and the Caribbean. The extensive trade resulting in about 50 billion dollars a year in shipping exports lands it in the fourth place amongst US states, exports wise. And this amount of trade is drawing in a lot of workforce naturally. Also, it is the reason why Florida has a strong financial services industry. Additionally, given its low taxes, one can only expect the industry to grow. Apart from the most important industries we’ve now listed, Florida has many other job openings on offer. Therefore it becomes clear now why moving to Florida with no job isn’t a high-risk move. Just take the time to plan it right, do your research and you’ll be enjoying life in the sun in no time!